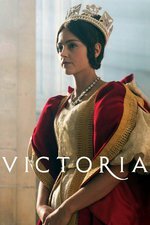 Dodging both Chartists and suitors, Victoria grows into her royal role, as she obsesses over Elisabeth. As she faces pressure to marry, Victoria's friendship with Lord Melbourne grows more complex. And an act of compassion adds to Australia's population. This felt much like a "moving the pieces" episode to get us to Albert appearing in her life. Conroy gets shipped-off to Ireland, mommy gets a raise in her allowance, the Russians go home, etc. Indeed, pieces were moved and everything was set up for Albert. On its own, this episode was so-so, but it was necessary for the long-term. I did enjoy the Rooks scene, however. How much basis it has in fact, I have no idea. I suppose that's going to be a pretty common feeling for those of us not steeped in Victorian history. I kind of find it hard to believe the queen could leave the palace unaccompanied and unnoticed to run to the side of a single man like that. Then again, it's such a specific scene. In terms of the historical details, this series is not quite as bad as Her Majesty, Mrs. Brown, which is pretty much entirely wrong. But it's not for lack of trying on Victoria's part. Why is Uncle Ernest still in England in 1839, when he should have decamped for Hanover (of which he's the king) in 1837? And surely that Prince George he's pushing on the Queen is his son, not his nephew? Why is there suspense about Victoria marrying Albert, and why is she sulking about it? Why on earth is she running after Lord Melbourne, who was pushing sixty and would have looked more like Uncle Leopold than Rufus Sewell? (No, she didn't run off incognito to declare a grand passion for him.) Why on multiple earths is she dancing with Sir John Conroy? Without television to overly familiarize the general public to exactly what she looked like, how many would've actually recognized her had she walked right by on the street? ...Yes and no. There was an enormous market for portrait engravings of the queen, both cheap and high end; while some of them bore a...dubious...resemblance to the woman in question, others were a strong likeness. That being said, the Queen did travel incognito fairly frequently, but such travels were almost always done under assumed aristocratic names, not as one of the hoi polloi. I dunno, don't her diaries suggest she had a bit of crush on Melbourne? She was kept so sheltered, and he was this sort of debonair man-of-the-world-type. There's a little excerpt of her entries about her ascension and coronation here, and his name comes up about a dozen times. "I like him very much and feel confidence in him. He is a very straightforward, honest, clever and good man.....When my good Lord Melbourne knelt down and kissed my hand, he pressed my hand and I grasped his with all my heart, at which he looked up with his eyes filled with tears and seemed much touched, as he was, I observed, throughout the whole ceremony.